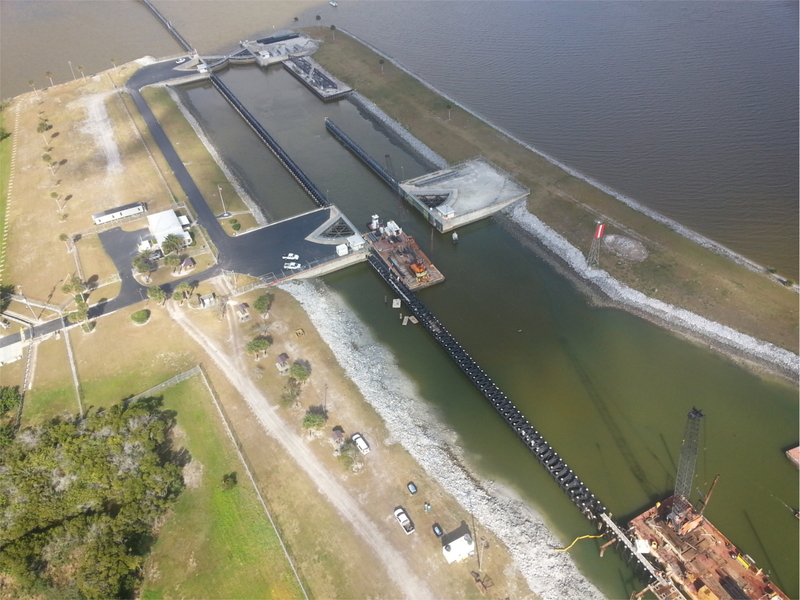 Canaveral Locks East West Guide Wall Repair – RUSH, Inc. 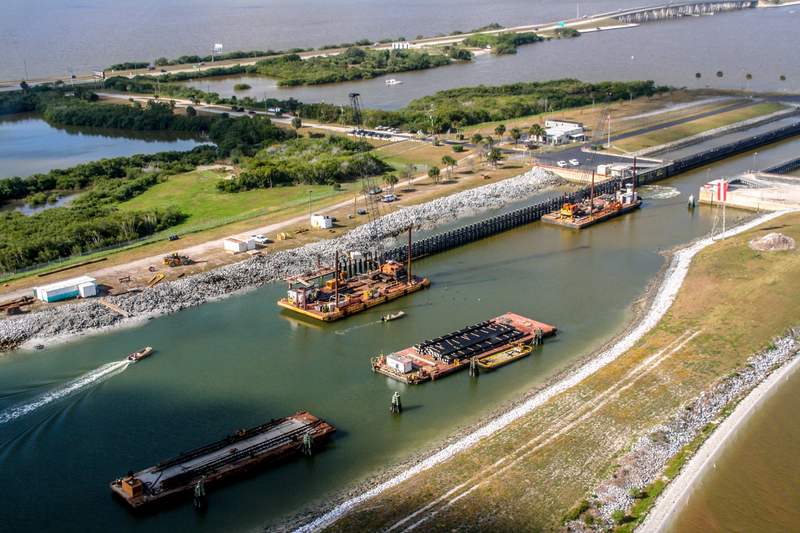 This Bid/Build project consisted of the repair for the Canaveral Locks East and West timber approach wall to prevent failure and restore the wall to an operational condition. Approximately 396 new fiberglass/concrete composite marine pilings were installed to replace the existing piles. Fiber-reinforced structural plastic lumber (SPL) fenders, whalers and supports were installed to support the installed pilings. An access walkway with handrails, lighting, signage, warning lights and electrical services were also installed. All member connections were stainless steel hardware and all existing hardware was replaced with stainless steel. Approximately 600 existing creosote timber marine piles were removed at to elevation -17 or the mud line whichever was higher. 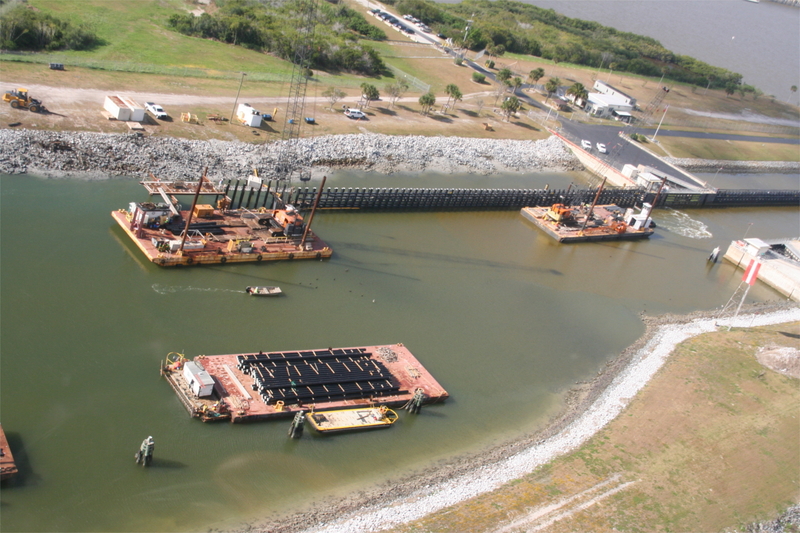 All removed creosote timber bracing, marine piles, and fenders were disposed in an approved landfill. Work also included the services of a dedicated manatee observer and marine safety patrol vessel to be on-site during construction activities.